After missing the playoffs for three straight years, head coach Rex Ryan may have another shot next year. Per multiple sources, signs point to Rex Ryan returning as head coach. Ryan still has one more year left on his six year contract. He signed a four year deal in 2009 and received a two year extension after the Jets made the championship in 2010. According to Fox news a few weeks ago, Rex told the team that there were rumors that the decision was already made that he would be dismissed as head coach after the season. Ryan was asked many times by the media if he expects to coach the team next year, before the news broke out that he may coach the Jets next season. Rex however, never discussed the talks of him possibly being fired and was mainly focused on Miami. An innumerable amount of Jets fans wanted Ryan to stay. Manish Mehta of the NYDN hosted a poll on Twitter where he asked fans whether or not Rex should stay. WR David Nelson, OG Willie Colon and DE Muhammad Wilkerson, basically told reporters that they want Rex to coach them in the near future. “We feel like that we can play well the rest of the season and maybe save his job.” Nelson said. 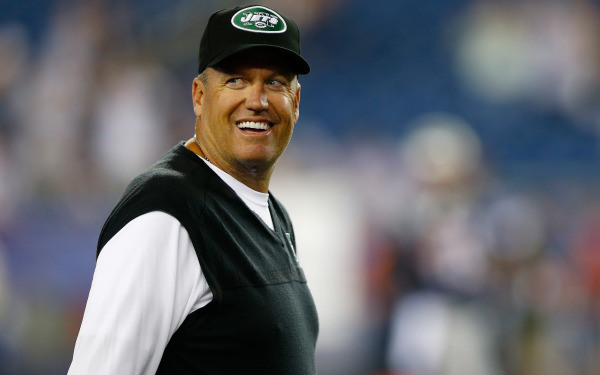 Despite the Jets’ record, Rex Ryan has had one of his best seasons coaching and deserves another chance. Tags: David Nelson, Head coach, John Idzik, Miami, Muhammad Wilkerson, New York Jets, NFL, NYDN, Rex, Rex Ryan. Bookmark the permalink. Beautiful theme of blog! What is the name of it? I’m gone to inform my little brother, that he should also pay a visit this web site on regular basis to obtain updated from latest gossip.